In the tradition of the past, the Red and White speaks across generations. 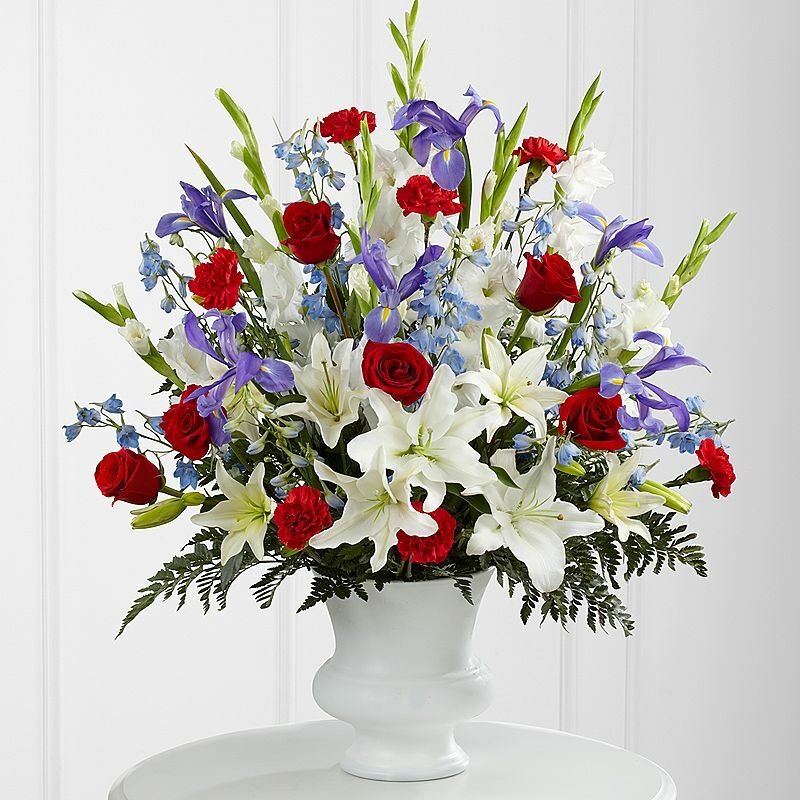 Gladiolas, lilies, roses, carnations and irises. Flowers arranged in a white container (type of flowers and container may vary).